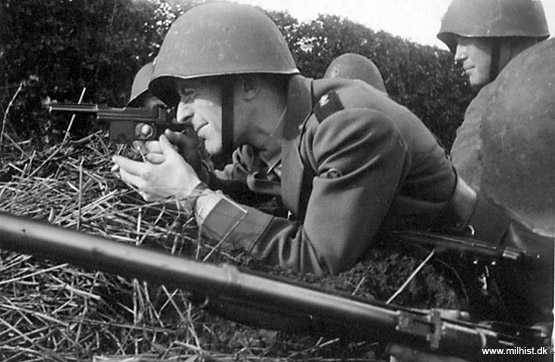 Danish field officers were issued with the m/1910 pistol which was a German weapon built in Denmark. 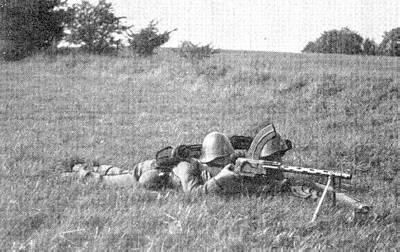 The standard infantry rifle was the Krag m/89 and along with the bi-pod mounted m/24 Madsen light machine gun and m/23 grenade launchers, were main weapons found in infantry platoons. 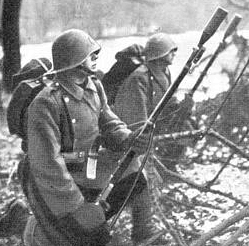 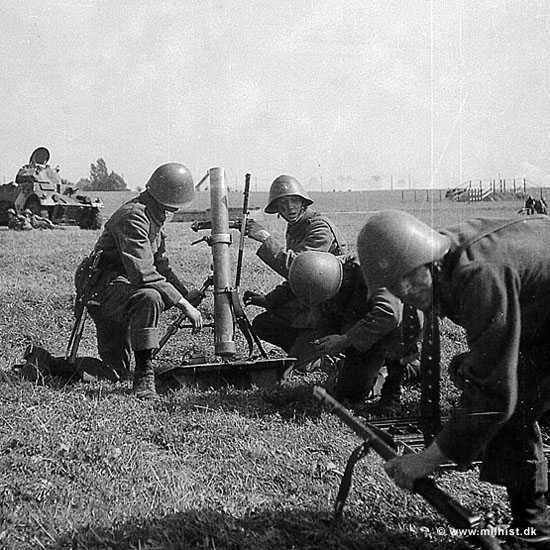 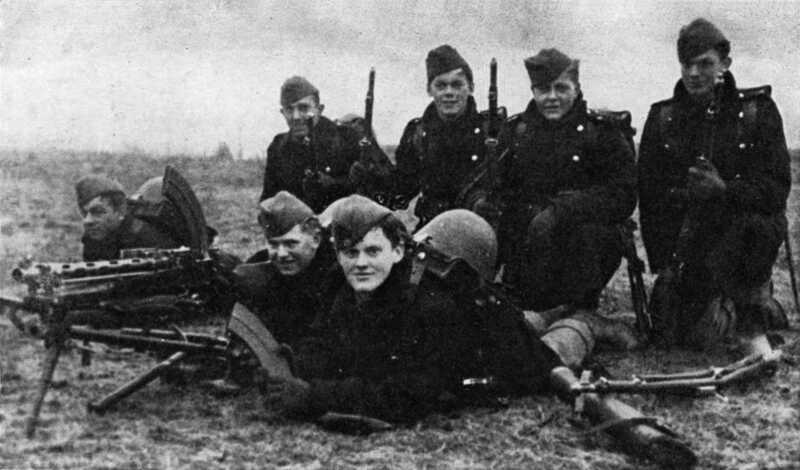 Support weapons were the m/29 Madsen tri-pod mounted machine gun and a copy of the Stokes-Brandt 81mm mortar.